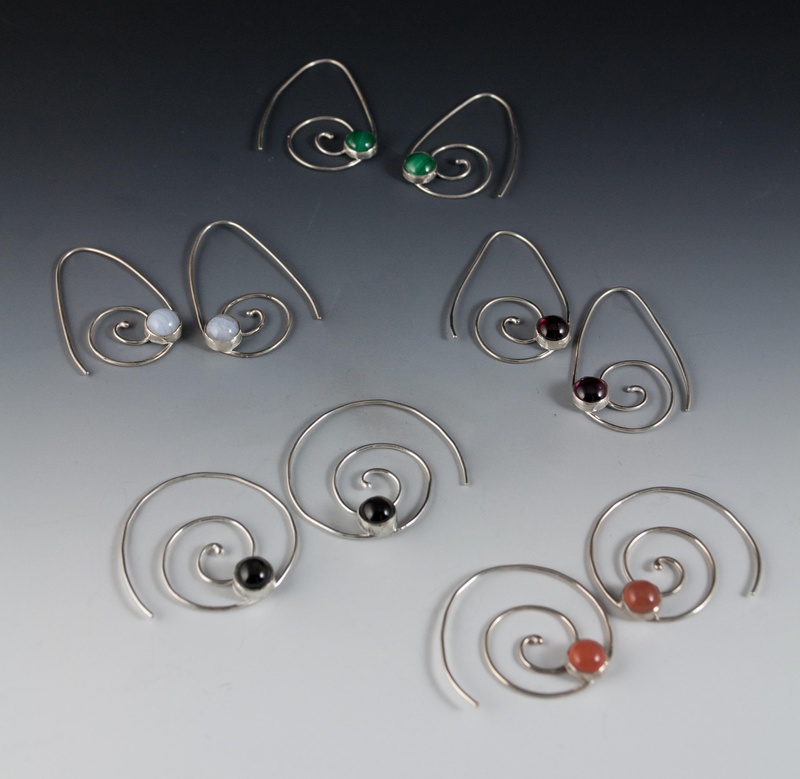 Hematite Sterling silver spiral gemstone threaders. Lacy designed and created these earrings!!! I have been designing and creating jewelry for over 20 years. My heritage as a fifth-generation Texan serves as my natural inspiration; born of my roots in the wooded canyons and rolling hills of the famed Texas Hill Country and the abundant beauty of the Texas Gulf Coast. Each of my one-of-a-kind pieces is a future heirloom; incorporating precious metals and rare,hand cut cabochons, yielding exceptional, wearable works of art.